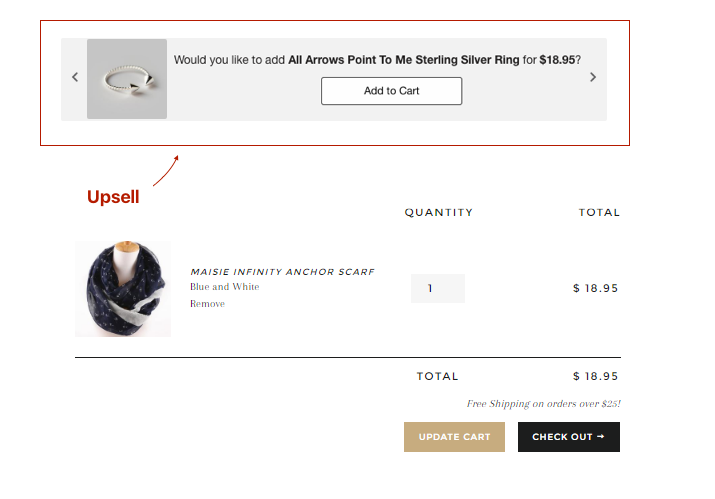 What Is A Upsell/Cross-sell Recommendation Box? LimeSpot: Personalizer's Upsell and Cross-sell recommendation boxes are a great addition to any store. LimeSpot: Personalizer's Upsell and Cross-sell recommendation boxes are a great addition to any store. These boxes help boost sales and drive even more revenue by recommending products to your shoppers through either manually selected products or products that our algorithm has auto-generated for you. Have products that you want to sell together? 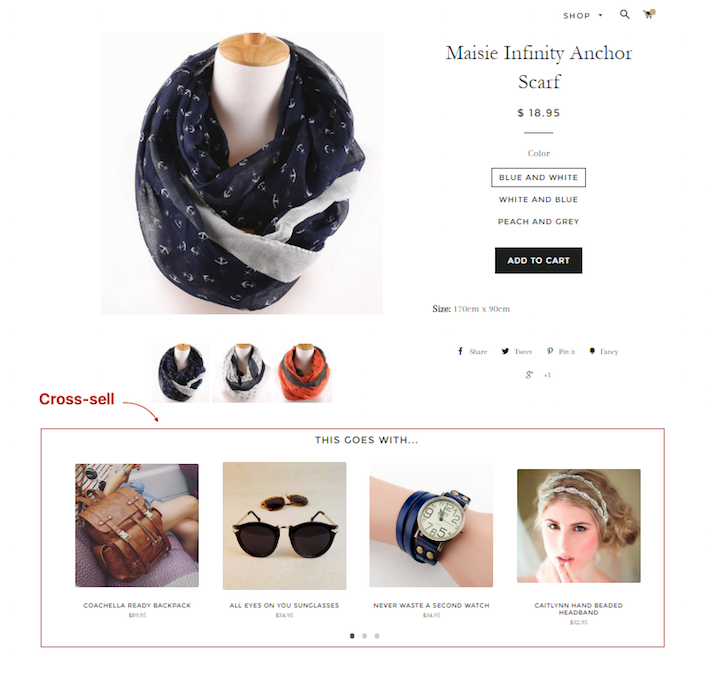 The Cross-sell product recommendations will enable you to manually select which products to relate to one another. In the LimeSpot: Personalizer admin panel, you can manually select the items for our Upsell and Cross-sell recommendation boxes individually as well as in groups. You can find complete instructions in article from our knowledge base. You can also manage the pages on your shop as to where you would like to activate the Upsell and Cross-Sell recommendation boxes. If you would like to learn more about Upselling and Cross-selling techniques, please take a look at this Wikipedia article.